Facebook has long since been the world’s most visited social network, and rather than just offering the official app alongside a separate Messenger service, the social network has sought to go to town with its deep integration with the introduction of the Facebook Home APK for Android, which arrived two months back along with some other interesting features. Opinion has been mixed hitherto, with the new implementations having experienced quite a few teething issues on Google’s fragmented platform, but today, Zuck’s team has released a significant update to both Facebook and Facebook Home for Android. Details after the break. 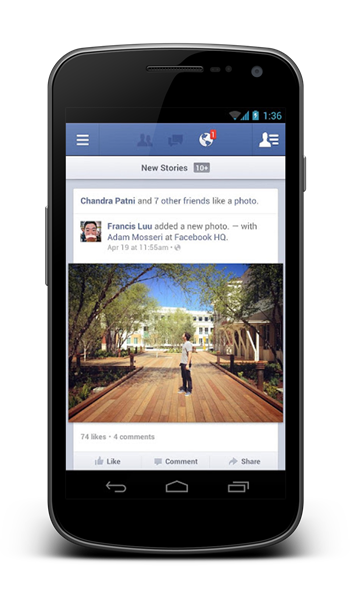 In its current state, Facebook Home is certainly nothing to rave about, but the potential it has is unquestionable. Today’s rather substantial update is the latest step in Facebook’s quest to realize this potential, bringing a rather healthy bunch of new features to the table. 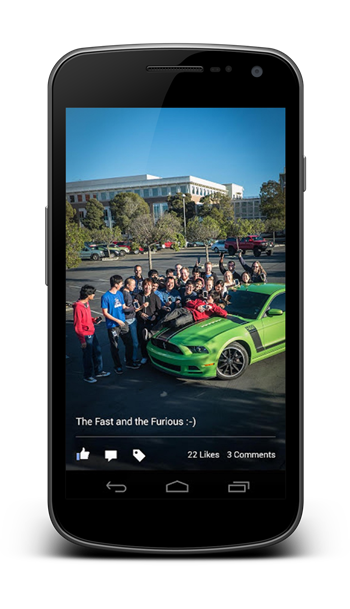 First and foremost, the official, original Facebook app now lets users add multiple photos into chat messages. The picture-sending feature has been limited to just one until now, but this annoyance will be no more thanks to the lifting of the restrictions. On top of that, you can now easily alter post sharing settings, so if you would only like certain individuals to see some posts, you can do so on-the-go. It’s one of those features that seems as though it should have arrived a long time ago, but nonetheless, those keen to monitor and tweak their post sharing settings and rules will be able to do so with relative ease. In Facebook Home, there’s now a new ‘favorites tray’ which lets you select some of your most-used apps and keep them in a convenient spot on your home screen. To add apps, all you need to do is drag and drop, and having given the newly-updated app a brief run-out on an HTC One, we can confirm the new features do function rather well. The update to Facebook Home rolls straight through the official Facebook app, so if you download and update Facebook for Android app, you’ll be able to enjoy all of the new features.